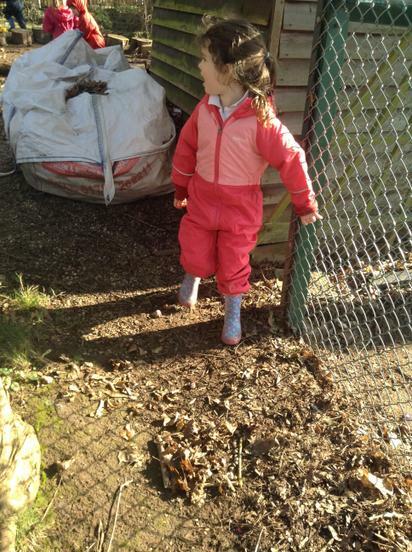 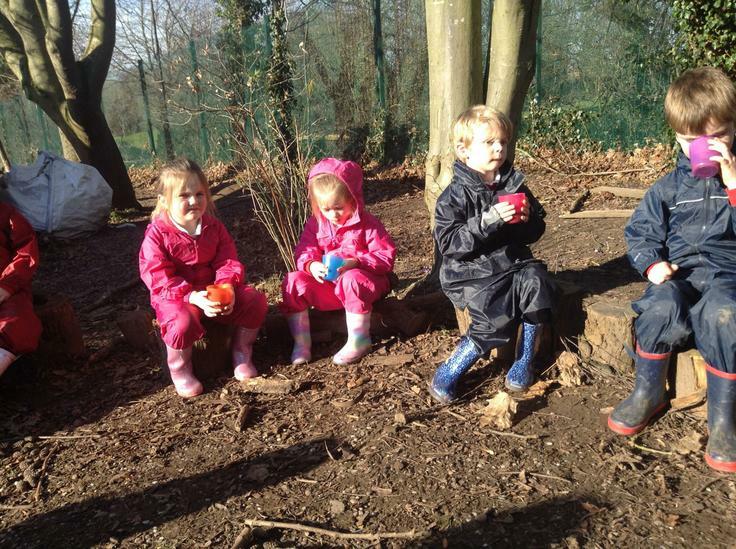 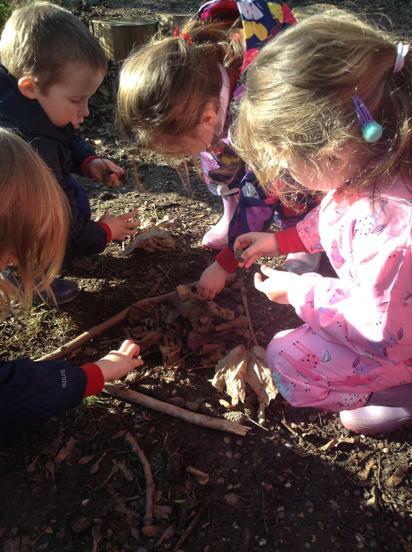 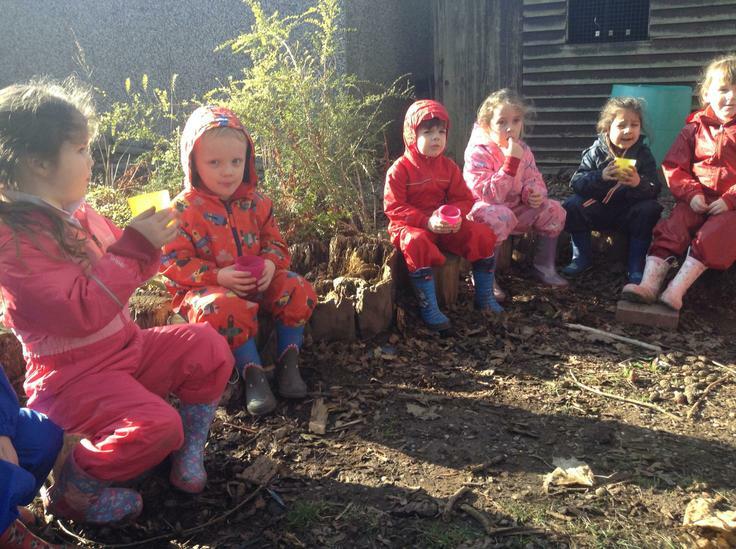 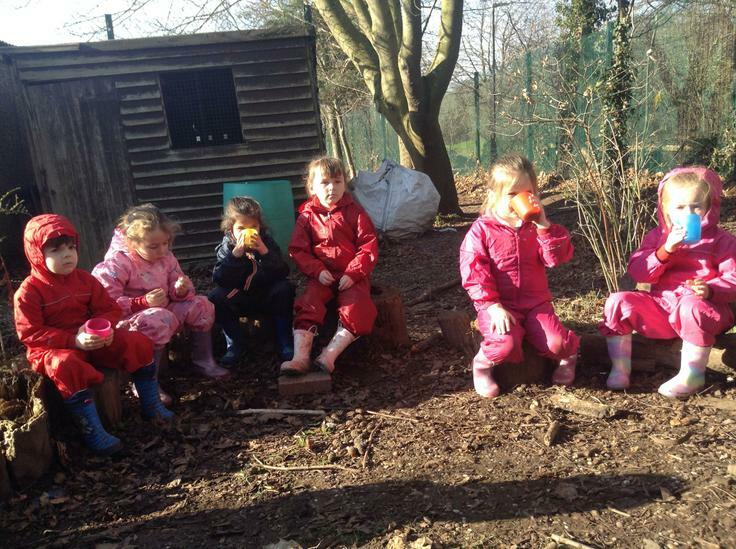 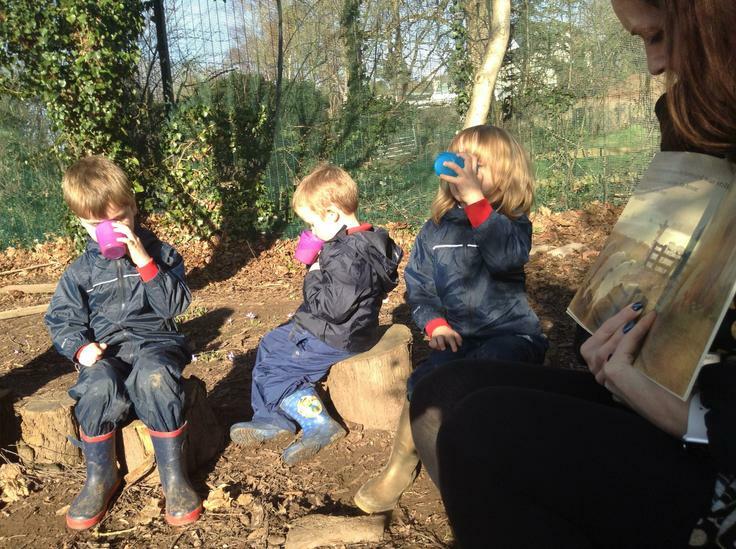 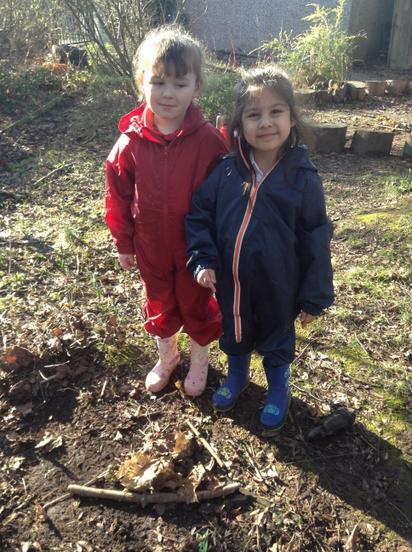 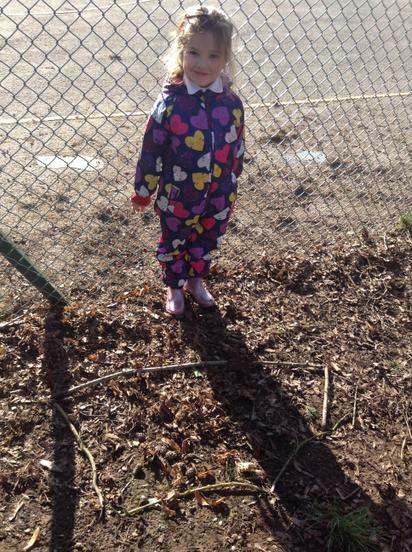 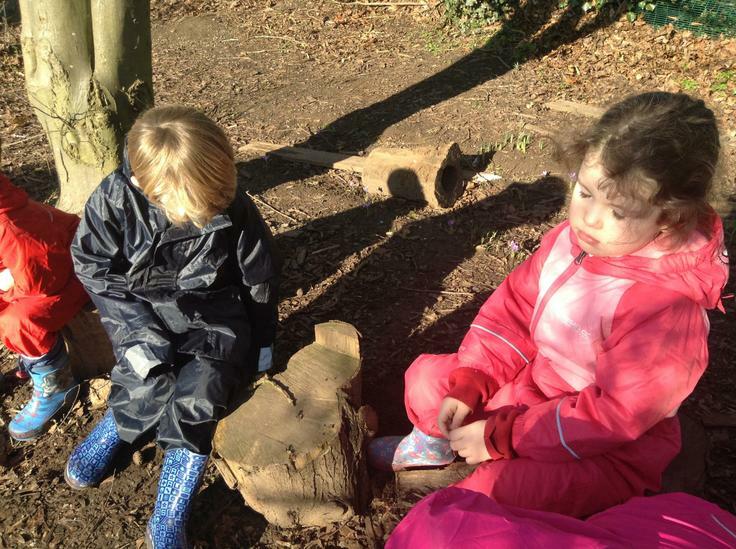 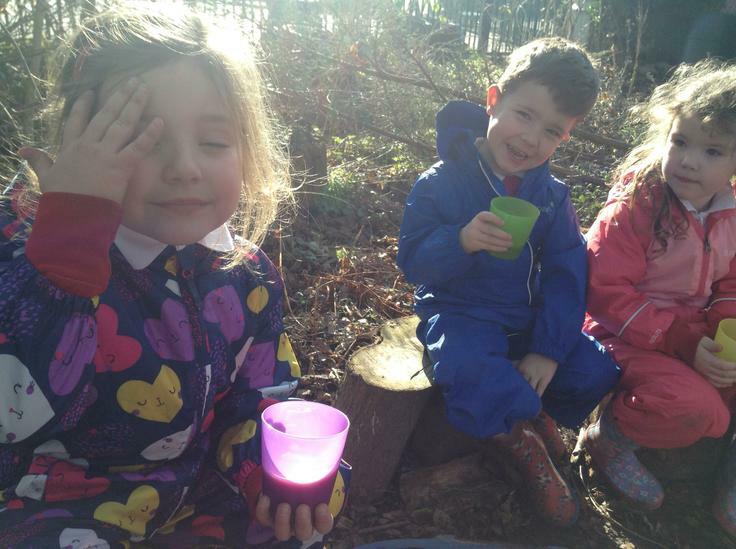 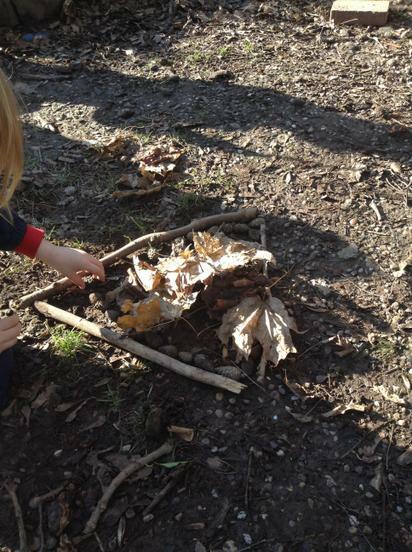 This week in the Forest we noticed a lot of changes beginning! 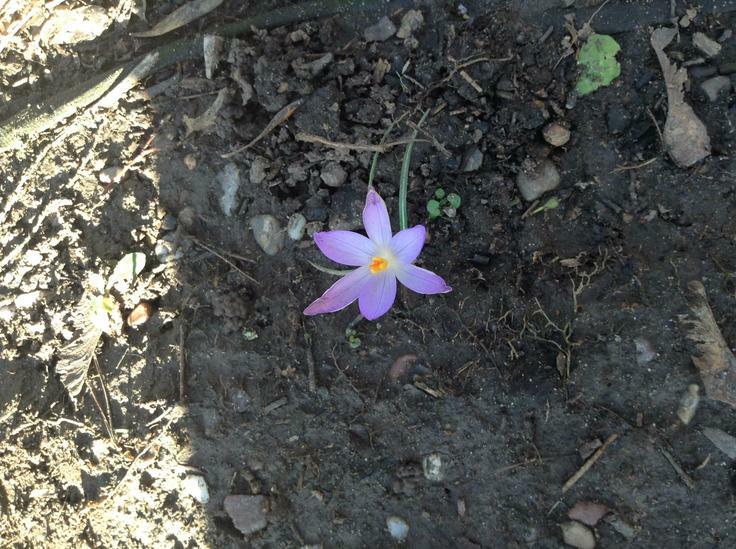 The weather was beautiful and warmer for one, and there were pretty flowers pushing through the ground - daffodils, crocuses and snowdrops! 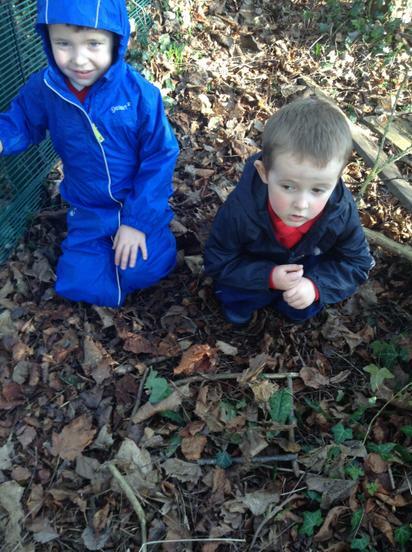 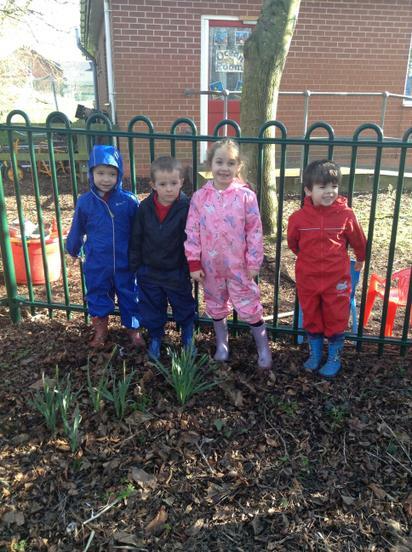 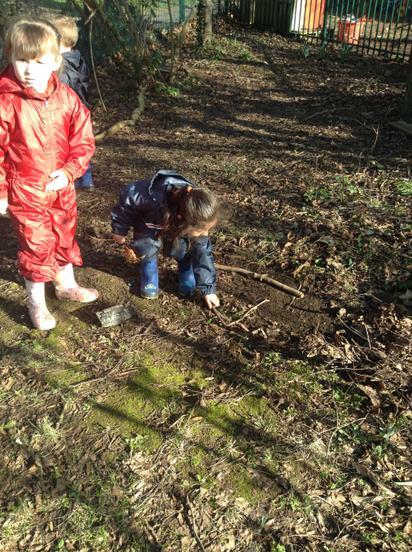 The children were very careful not to tread on them! 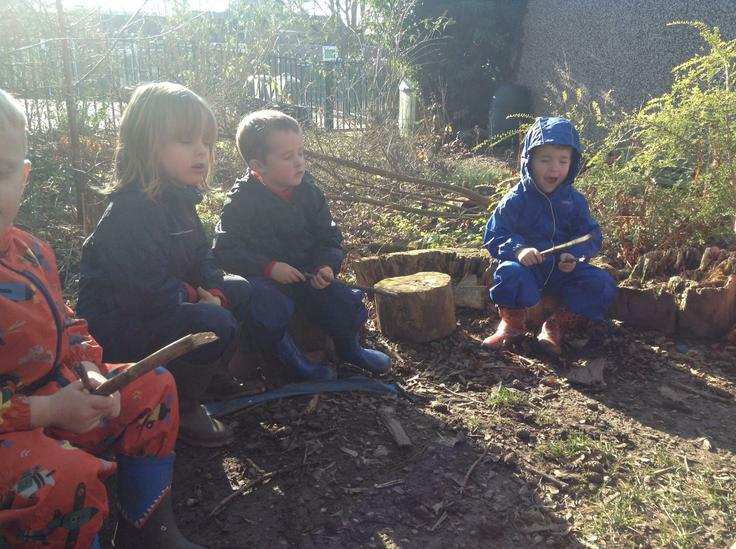 We listened quietly, with our eyes closed, to all the sounds we could hear....from cars going by, to birds singing and leaves rustling. 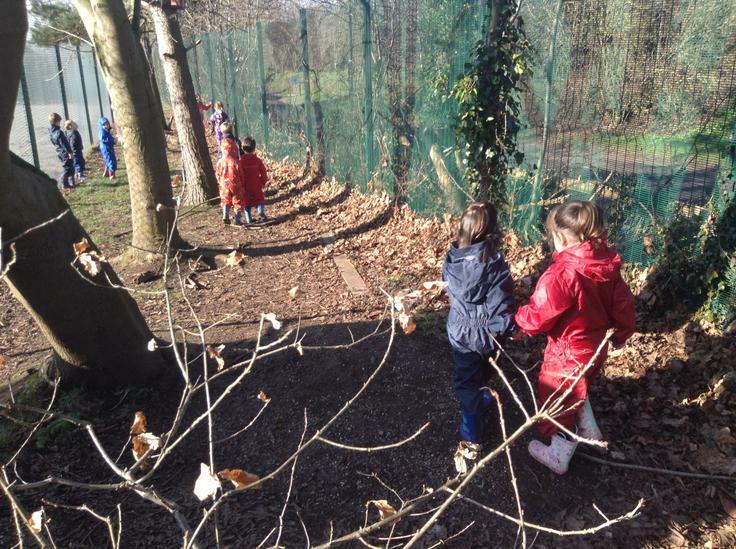 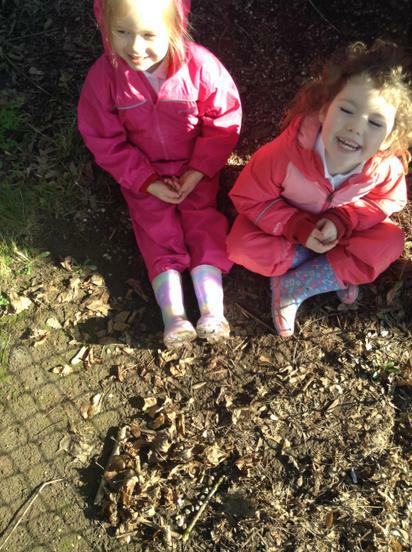 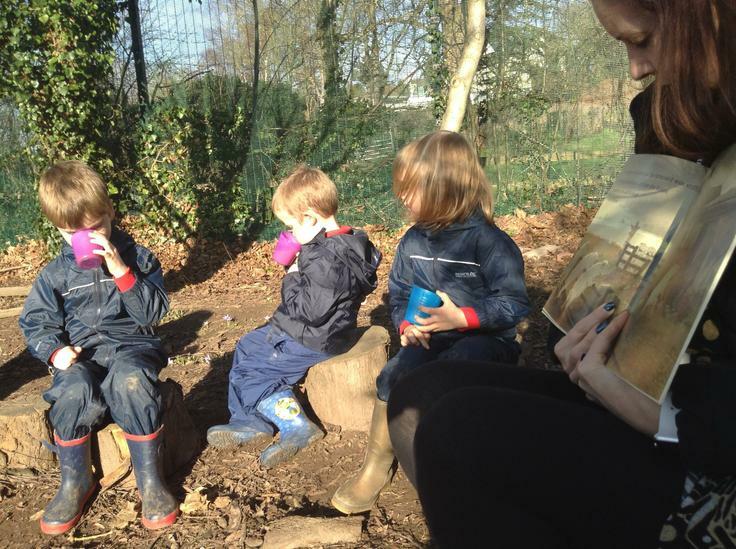 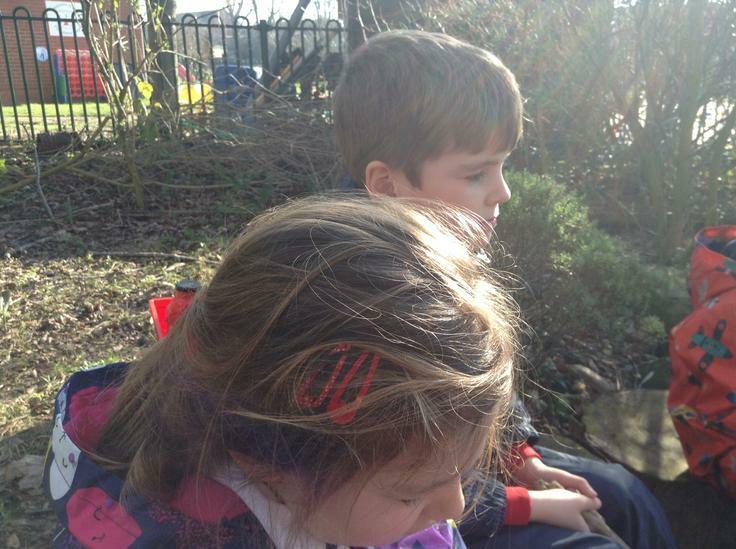 We then went on a listening walk and could hear the twigs snapping between our feet and the leaves crunching. 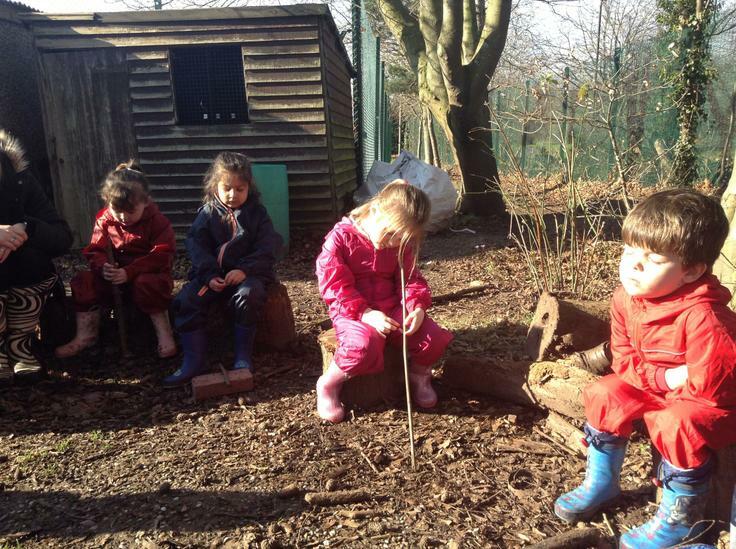 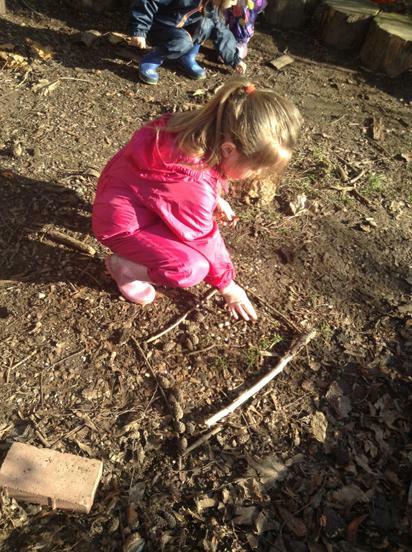 We then used natural materials to work together to explore shape. 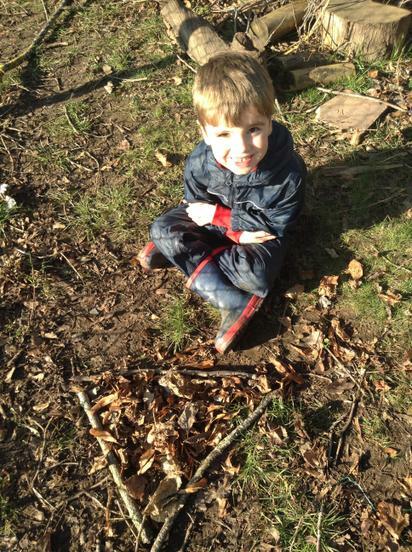 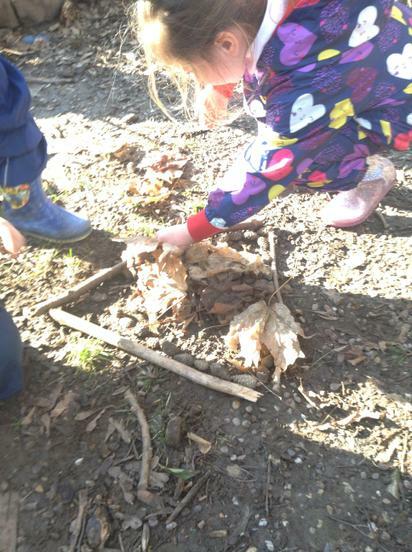 The children collected sticks to make an outline of a shape and filled it with all sorts, such as leaves, pine cones, stones, etc. 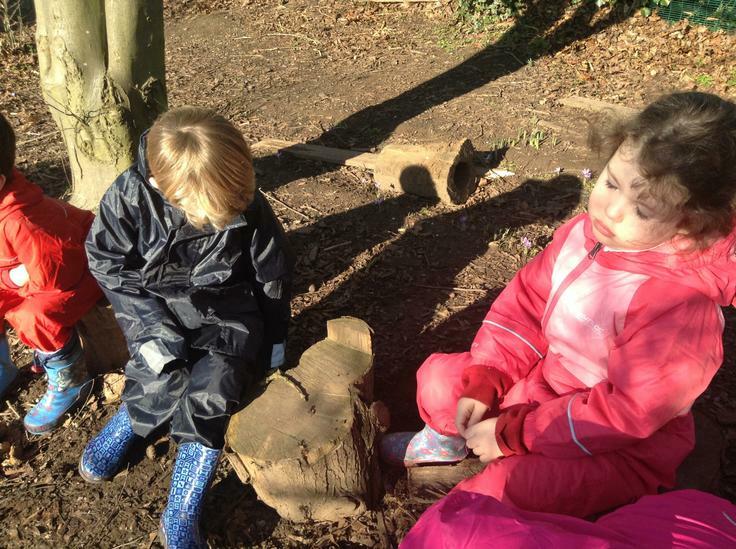 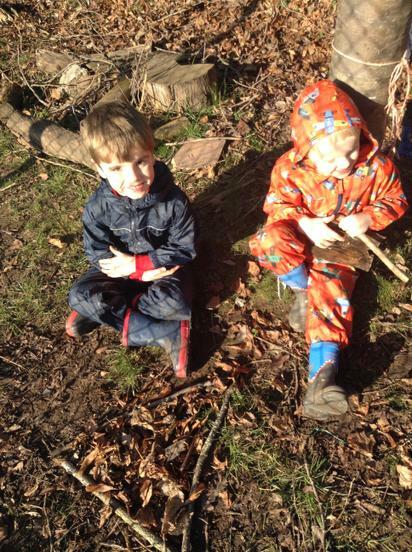 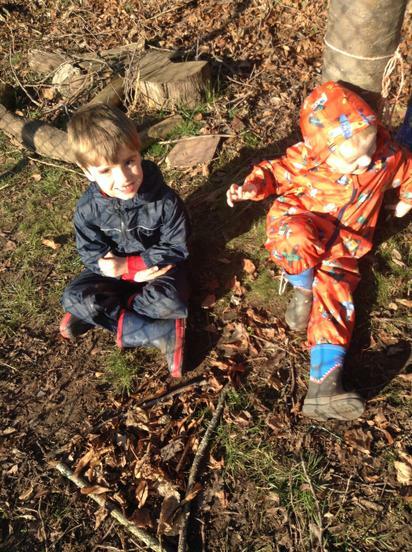 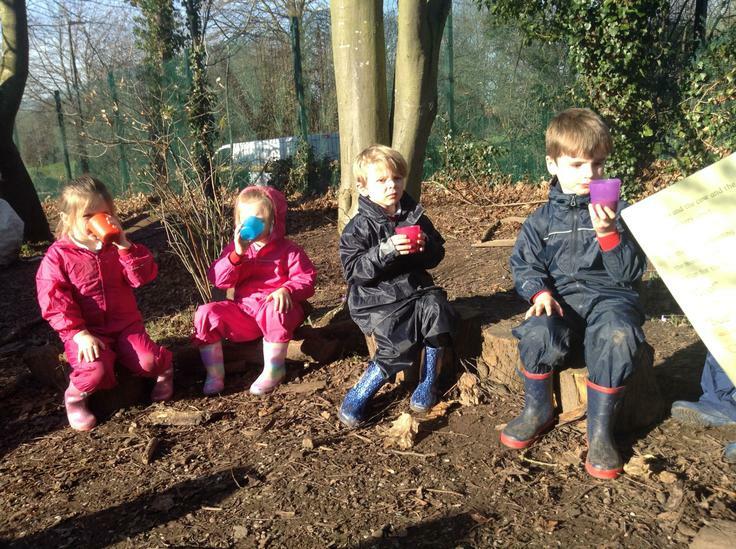 After we sat in the log circle, sang songs and had a story while we drank hot chocolate.